High performance and low cost DSD DAC solution for everyone. DSD sound volume is controllable using WIN/MAC/LINUX system volume mixer. No need to annoying manual switch ASIO output everytime for PCM to/from DSD playback in foorbar2000 as using the other famous USB I2S module. CS4398 is the flagship model of Cirrus Logic who acquire Wolfson Microelectronics. It features DSD playback, low clock jitter sensitivity and advanced non-decimating software volume control. 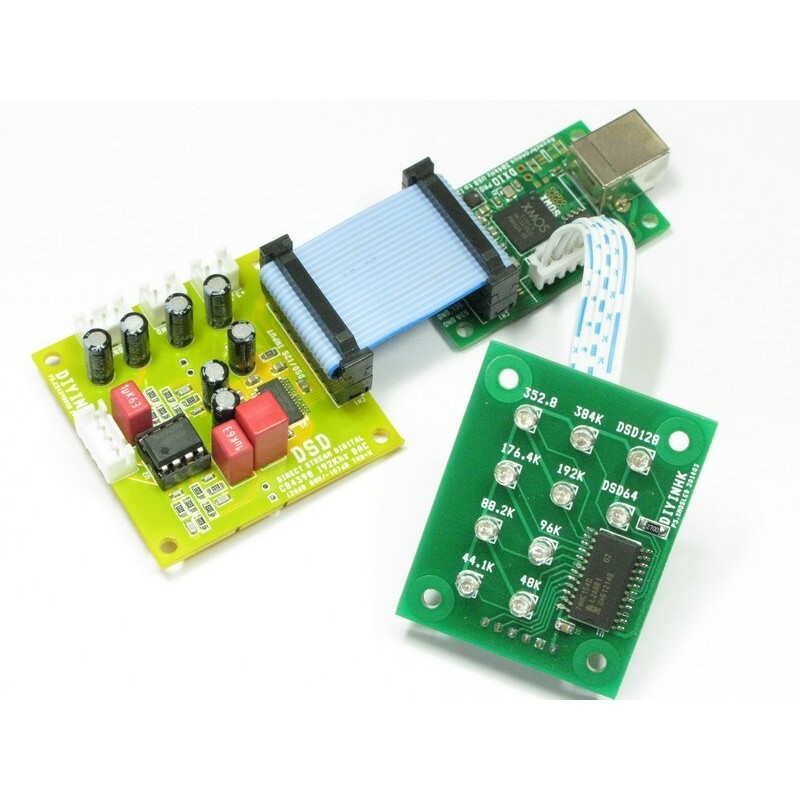 This USB DSD DAC combo includes XMOS USB to I2S with three ultra low phase noise NDK2520SD oscillator PCB, CS4398 DSD DAC PCB and an optional LED sampling rate indicator PCB. Apart from the DSD playback functionality, it uses low noise thin film resistor, C0G capactor in the LPF, WIMA decouple cap, panasonic low ESR aluminum electrolytic capacitor and optimized layout 2mm distance for all decouple capacitor, etc. The most distinctive features of this USB DSD DAC is our customize firmware for bit-perfect volume control. Most people may not notice many so called "bit-perfect" device on the market is bit-perfect ONLY When You Play At FULL Volume. If the volume is not set to maximum in the computer, the audio data is scaled/altered before sending to the DAC chip and the result is signal to noise ratio seriously affected. The DSD sound volume is controllable using our xmos DSD combo in all USB audio 2.0 compatible OS including WIN/MAC/LINUX system volume mixer. 2) Do I need to switch ASIO driver everytime when playing between PCM and DSD music file? I find it's annoying to do it when using the other famous brand DSD USB output adapter. Our xmos combo can use the same output ASIO: foo_dsd_asio in foorbar2000 to play PCM and DSD music file. No need to switch output everytime to play. 3)Is the xmos i2s Bit-perfect volume control PCB in the combo can be used connect to other DAC chip? Different DAC chip require different IIC volume control command and different DSD PCM switch command. 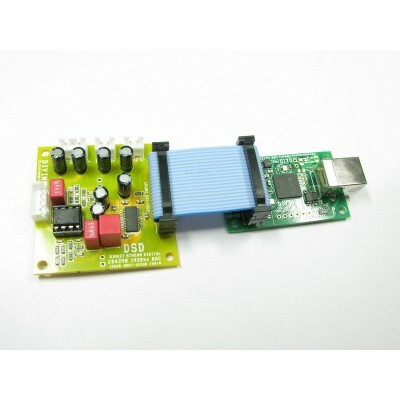 The XMOS PCB in this combo is designed only for use in this combo. The circuit mostly follows the official datasheet, it can be download from the related official DAC website. 5)Some people told uses IIC software control can interference the DAC performance, is it true? The IIC volume control is only active when you moving the volume bar to change the volume, it is totally stopped when not in use. 6)What sampling rate are supported? 7)Any annoying pop sound when playing between PCM and DSD format? No pop sound. The cs4398 has automute feature when switch between pcm and dsd. 8) I already have CS4398 DAC, why still buy this one? This DAC includes DSD playback feature, bit perfect volume control, WIMA 3.3uF film capacitor on the Quiescent Voltage pin, high quality and selected components, optimized layout 2mm distance for all decouple capacitor. It takes the cirrus logic flagship dac CS4398 to it's level. 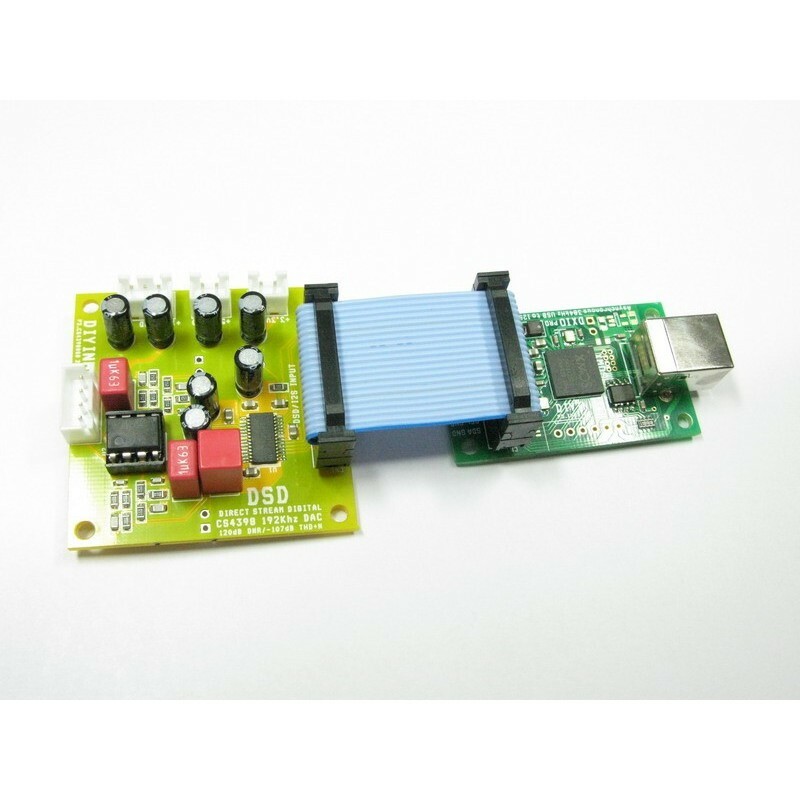 *The PCB required one 3.3V (>200mA), one 5V (>100mA) and one +-12V (>100mA) regulated power supply. *For bit perfect playback at any volume, please use the Windows/MAC OS default builtin system master volume mixer control. Don't use the foobar volume control, it scale/alter the audio data internally.